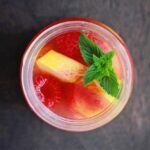 This Raspberry peach sangria is a sweet summer favorite that is simple to whip up and quick to disappear! Made with fresh fruit, vodka, and a sweet moscato! 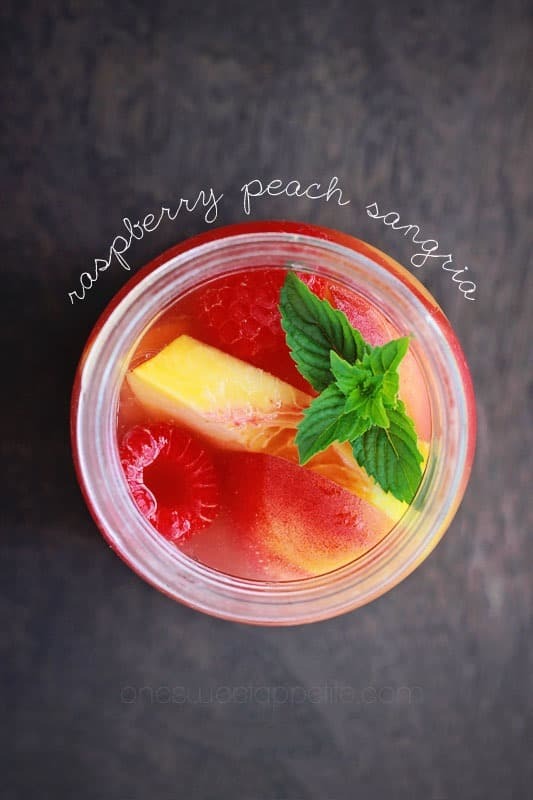 THIS sangria is the perfect girls night cocktail. Filled with fruit, sweet moscato, and vodka. Sweet and perfect for sharing with friends. Best of all, it comes together in under 10 minutes AND you can make it ahead of time. Which means you spend more time gabbing with the gals and less time playing bartender! The beauty of a sangria recipe is that you really can play around with the flavors. I chose to use peaches and raspberries but you could easily use blueberries, blackberries, or any other fruit of your liking! It combines wine, vodka, fruit, and sugary goodness into a giant pitcher. It is one of “those” drinks. You know… The ones you keep sipping and easily forgetting how many glasses you have consumed. Save this recipe in your archives of party wonders. Everyone will love it! If you are making it for a group of people I would double it. 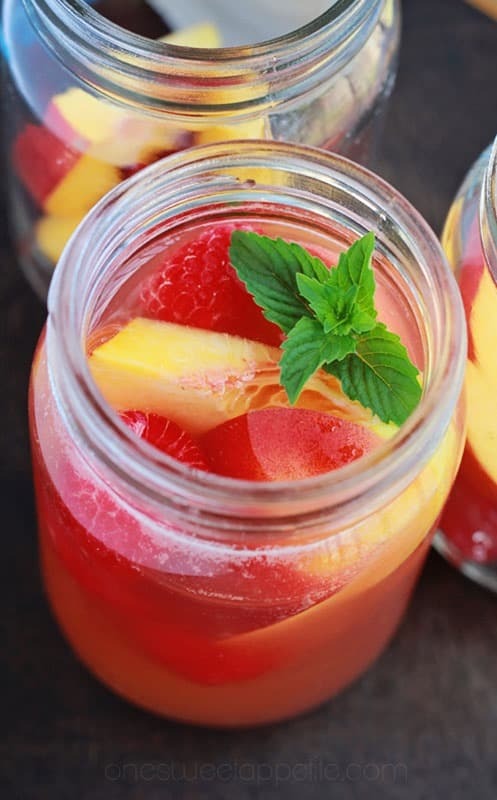 Do you have to use fresh fruit in sangria? No. You can definitely use frozen fruit. However, fresh fruit will taste a little better. If I am using frozen fruit I try to combine it with fresh. 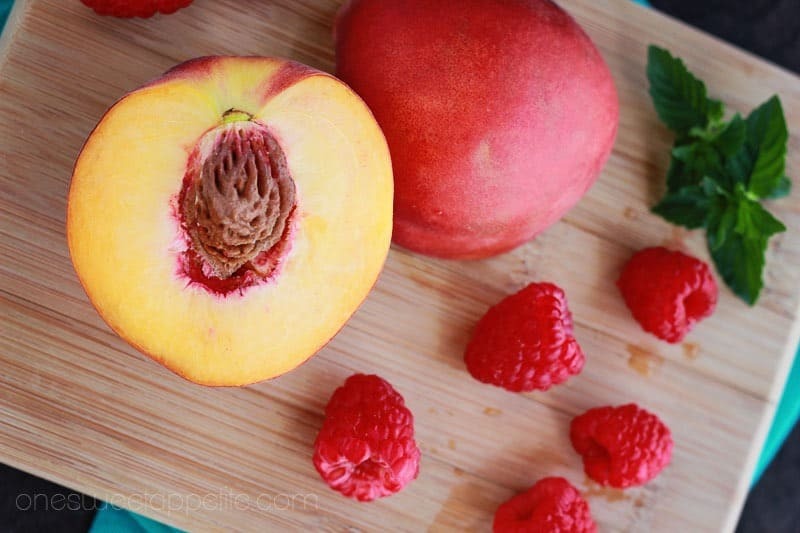 For example, if I have frozen peaches I will toss in fresh raspberries and blueberries. This isn’t necessary but adds a little freshness to your cocktail. I added a few sprigs of mint to my drink. Muddle it around inside your glass and enjoy! This stays good for up to 3 days. WHICH means making it in advance saves you time and makes it a go-to. Looking for a non alcoholic version? Substitute your favorite juice for the moscato and stir in some sprite. It’s just as tasty as the original but kid safe and approved for all ages. Combine the wine, vodka, peach nectar, lemonade, and sugar in large pitcher. 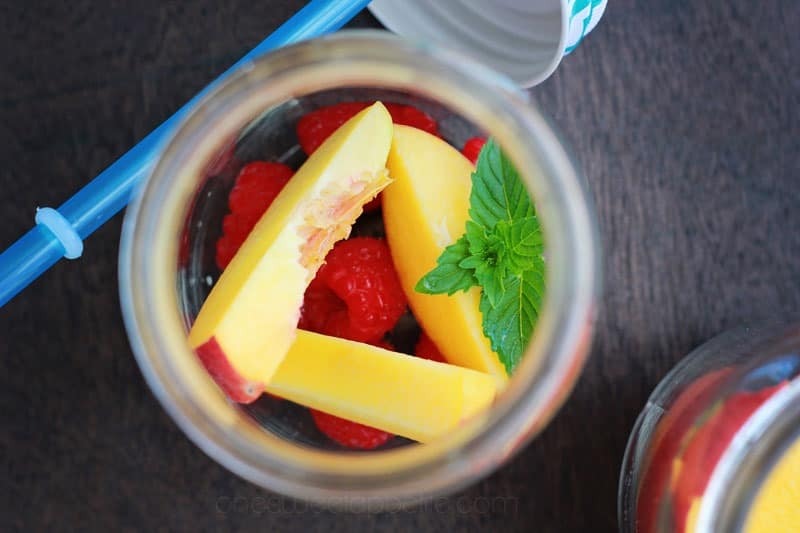 Stir in the peaches and raspberries. Chill overnight or at least eight hours. Add the club soda right before serving. 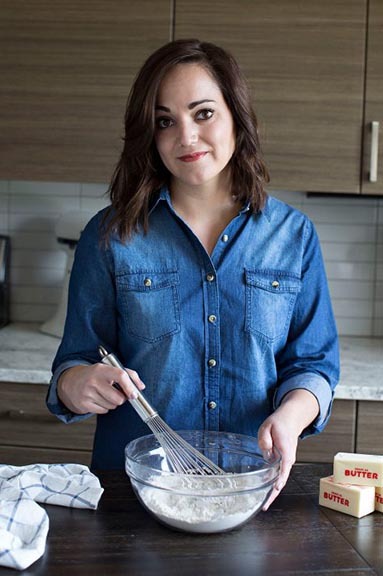 This recipe can be made up to three days in advance. Hi, I was just wondering what size bottle of Moscato I should use for the Raspberry Peach Sangria?? Great question, Mary. We made this again last weekend and I used a standard bottle of Moscato. Do you think Pear Vodka would work?? I have never tried pear vodka, but I think it could be tasty!